In the spring of 2018, the Trump administration announced a new round of tariffs (“301 Tariffs”) against the People’s Republic of China (“PRC”). These 301 Tariffs were enacted last summer and encompass a massive-if-not-total cross-section of products and components manufactured in the PRC and imported into the United States. 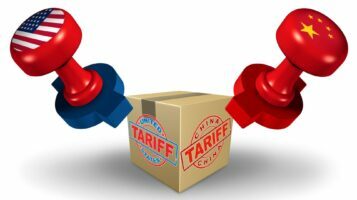 The 301 Tariffs represent an increase in “Group 1” and “Group 2” of 25% and a present tariff increase for “Group 3” of 10%. To afford U.S. companies a chance to seek an exception from these large tariff increases, the administration created the “301 Hearing” process, which was held in Washington, D.C. over the summer. The 301 Hearings and initial determinations were an extremely fast–tracked process, with the 301 testimony process commencing in July for Groups 1 and2, and concluding in August for Group 3. As part of my Of Counsel role, I represented my firm’s clients and testified on their behalf in both Groups 2 and 3, in July and August of last year, before the respective Committee. Although, at the time of writing this article, no further 301 Tariffs have been announced, based upon the administration’s rhetoric and actual/threatened additional rounds of tariffs (against the PRC and/or other countries), additional 301 Tariffs may be on the horizon. The enactment of new tariffs would, in all likelihood, bring with it the same fast–track 301 Hearing and decision-making model that was implemented this past summer, and, as such, a brief review of this hearing and testimony process may prove to be very helpful should your client’s products or components become the target of new tariffs in the coming months. A Committee was formed for each Group, and for Groups 2 and 3 the Committees were fast-paced and well organized. Throughout each day of testimony that I attended, including but not limited to those days in which I testified, the Committee for said Group heard five minutes of testimony from each company representative, which was undertaken in groups of six–to–eight company representatives at a time (“Testifying Group”). Upon conclusion of the testimony from all members in the Testifying Group, the Committee initiated follow–up questions directed at some (but never all) of the members of the Testifying Group until the members of the Committee were satisfied. Throughout the testimony a theme arose in the follow–up questions the Committee posed to various testifying individuals. The theme focused on the following issues: (i) Were there currently any existing financially valid options for the testifying company’s product/component to be manufactured in a country other than China – and if yes – why haven’t all such options not already being fully explored if not undertaken; (ii) if no financially valid options for the manufacturing of the testifying company’s product/component currently existed, what were the reasons for the absence of any such options presently; (iii) if no financially valid options for the manufacturing of the testifying company’s product/component existed currently, how long would it take, and what were the estimated costs for the testifying company to research, locate, and undertake all necessary steps and efforts to fully establish an economically viable manufacturing venue outside of China? Each of the Committee members clearly understood that the immediate imposition of the 301 Tariffs at such a high percentage, would definitely have a dilatory effect upon U.S. companies (and therefore upon their U.S. consumers and employees). In my opinion, what the Committees sought in these 301 Tariff Hearings (and may very well seek in any future tariff removal hearings) were unique and specific examples of when the effect of the tariff would result in economic damages beyond the understandable and foreseeable, and could put at risk the company’s underlying production of equipment (if not the economic viability of the company itself), as a result of its current inability to obtain the product or component from any other nation. Should your client import multiple products or components under a proposed tariff code being reviewed by the Committees, in my opinion, the “Value of Tariff Code Removal,” which is the basic standard used to analyze a tariff, should not be viewed from the perspective of the most tariffs paid as a result of the greatest volume of products/components imported. Rather, the Value of Tariff Code Removal should be focused on the unique and specific instances where the implantation of the tariff would result in the most severe and gravest of economic damages to the company, for which no viable alternative currently exists. There are obvious legal fees and costs required in the drafting and submission of the testimony to be read before the Committees, as well as testifying during the hearing. However, the in–person opportunity to make a concise cogent explanation of why your client sought removal from a potentially massive tariff is an opportunity that should not be dismissed lightly. Although it is possible for the written testimony to be drafted by non-attorneys, as well as to be presented by the company President, or other non–attorney representative, only one representative of each company may appear to testify. The propensity of the Committees to propound follow–up questions to each testifying representative places the individual testifying in the realm more suited to that of counsel well accustomed to such an environment in terms of what is stated in on the public record without exception. In light of the Trump administration’s rhetoric regarding the imposition of tariffs, this fast–tracked process of written statement and testimony before the Committees is a model, which, having been created and instituted, will be revisited multiple times in the coming months. Familiarity with this process and knowing what information and scenarios the Committees are seeking in order to grant the sought–after tariff code removal may be an invaluable resource should your client’s product or components become the target of such substantial tariffs, 301 Tariffs or otherwise, in the future. This article discusses the 301 Tariff hearing process that the Trump administration created as part of the tariffs brought against the PRC. This article explores the importance of testifying before the Committee and how effective testimony is a critical component for companies seeking to evade such substantial tariffs in the future. S. George Alfonso has represented clients in litigation, across the U.S., as well as regional and international arbitration and complex commercial contract drafting and negotiations. Mr. Alfonso has been Of Counsel to Braumiller Law Group, PLLC, for the past 5 years. He provides Braumiller clients with complex commercial contract drafting and negotiating representation, as well as his well-honed litigation skills in instances such as 301 testifying. Mr. Alfonso’s full bio can be found here. You can contact him by email at SGeorge@Braumillerlaw.com. On or about February 25, 2019, President Trump announced a continuance from the March 1st designated deadline which would have increased Group 3 from 10% to 25% tariffs. No new deadline date has been announced or designated. The Committees for both Group 2 and Group 3, consisted in part of one representative of some-to-all of the following; The Department of State (“State”), The Department of Commerce (“Commerce”), The Department of Homeland Security (“DHS”), The Department of Labor (“Labor”) the International Trade Commission (“ITC”) and the Small Business Association (“SBA”).